Take entertaining way beyond the basic grill! Whether your backyard plans revolve around a table top grill and a pair of folding chairs, or a fully equipped cooking and dining area, you are bound to be entertaining outdoors. With that in mind, "chill with the grill" offers the very best in outdoor kitchen islands, grills, burners and grilling components accessories. We are your outdoor grilling experts and more important, we are outdoor grilling lovers. From design concept to finish, we offer all aspects to completing your outdoor kitchen dream. Make no mistake, outdoor culinary creations has become more than just a passing fad, it is today's lifestyle. 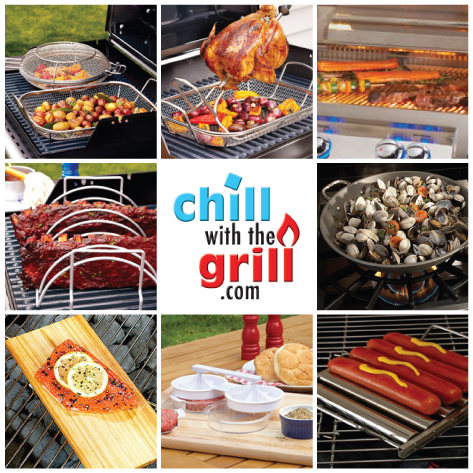 Explore our site and let us help make your outdoor "chill with the grill" dreams come true.